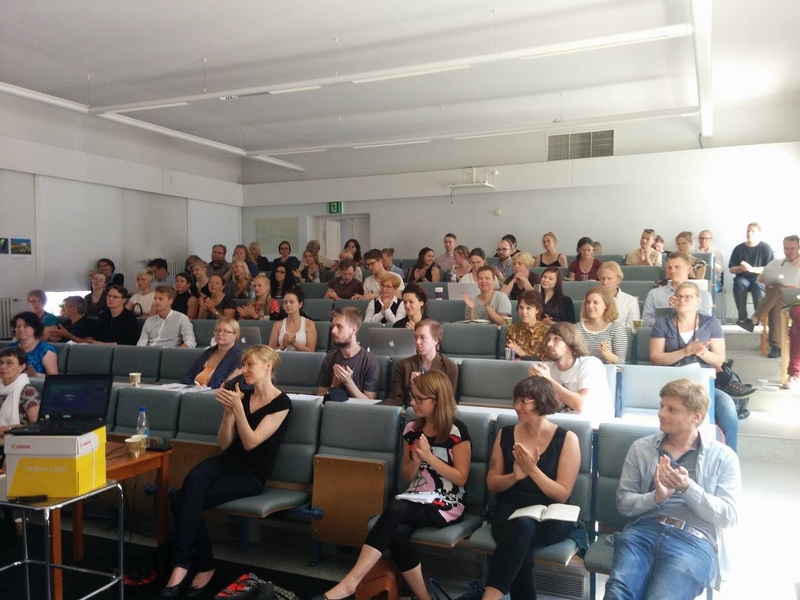 The Helsinki Network for Philosophy of Psychiatry organized the symposium ”Culture, Extended and Embodied Cognition and Mental Disorders” on June 30-July 1, 2016, in Helsinki. 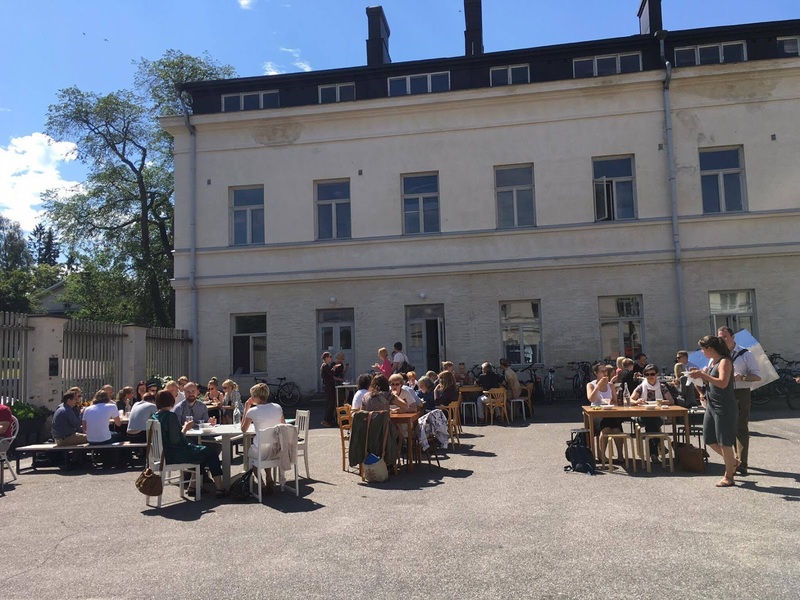 The symposium was dedicated to cultural issues related to diagnostics, definitions and classifications of mental disorders, as well as phenomenological questions of experience, affectivity and embodiment. 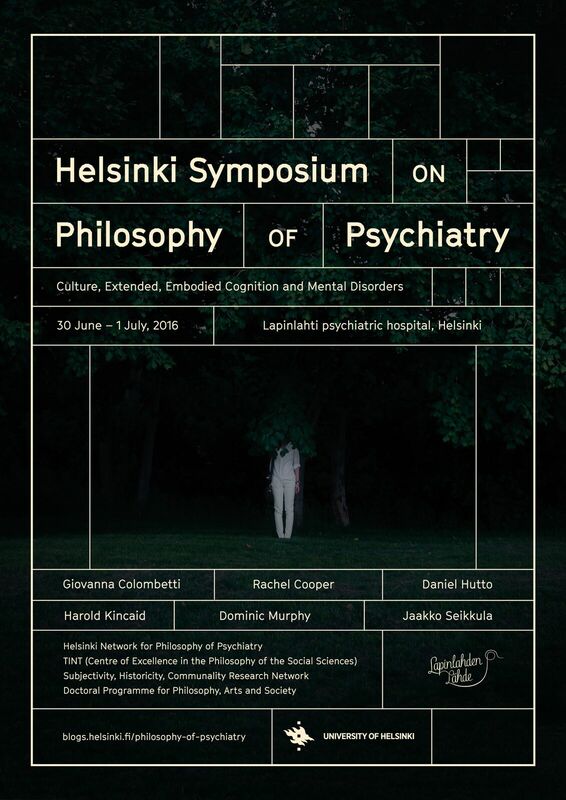 The symposium took place in Lapinlahti Hospital that was one of the first modern psychiatric hospitals in Northern Europe when it first opened its doors 175 years ago (on 1st of July 1841) - and now is a cultural venue. Several talks focused on the ways culture affects disorders and their classification. In his introduction, Tuomas Vesterinen argued that definitions of mental disorders are inalienably value-laden, and that socio-cultural forces should be taken into account in explanations and classifications in order not to spread the diagnostic categories inadvertently from culture to culture through looping effects. In his talk, Dominic Murphy showed how culture-bound syndromes (CBS) can be the linchpin for understanding how to combine cultural and neurobiological explanations. Basically there are three options: (i) CBS’s are not disorders at all; (ii) CBS’s can be incorporated into universal categories (even though there are different manifestations of illnesses, the underlying disorders are the same); or (iii) all mental disorders are to be considered as culture-bound. Murphy argued that both universalism (ii) and particularism (iii) are consistent with the idea that when a particular “culture plugs into psychology”, it creates specific outputs, making proximal mental representations the crucial explanatory system. According to Murphy, although culture may affect everything in human psychology, it is not always relevant in explaining CBS: “Both social and psychological processes need to be entangled in our general understanding of psychopathology – and not just cross-culturally – it may be that we can imagine a spectrum.” In some cases cultural forces may be the source of explanation. On the other hand, models of cultural epidemiology may neither be suited for explaining how culture influences the non-typical mind nor do they provide relevant information in cases of severe neuropsychological collapse (e.g. advanced psychosis or dementia). This point was echoed by Marion Godman who argued that cultural explanations are needed to understand local coping with disorders but may not enhance our understanding of the disorders themselves. Speakers were divided on whether underlying mechanisms are needed for classifying mental disorders. According to Harold Kincaid, we should direct our efforts on picking out “objective predictive kinds” instead of relying on robust definitions of natural kinds or underlying mechanisms. Kincaid, and Caterina Marchionni in her talk, maintained that disorder kinds or categories can be identified objectively by consistent shared traits without knowing why they are shared. Furthermore, Kincaid argued that ideally the categories should fit into a predictive causal network, and in order to decide which categories are predictive, we need detailed empirical studies. On the contrary, top-down approaches to mental disorders based on evolution or typical brain functioning play no real role in DSM or in other accounts of disorders. The upshot of both Kincaid’s and Marchionni’s talks was the need for pluralistic approaches to classification. At the other extreme were Samuli Pöyhönen and Petri Ylikoski, who argued for an all-encompassing view of addiction by integrating different approaches under a matrix of mechanisms. According to their “addiction-as-a-kind” hypothesis, different forms of addiction can be united under a single kind upheld by a matrix of mechanisms that are responsible for the disorders’ typical properties (symptoms, etiology, response to treatment etc.). Moreover, different combinations of the matrix underlying different addictions provide a means for objective classification. 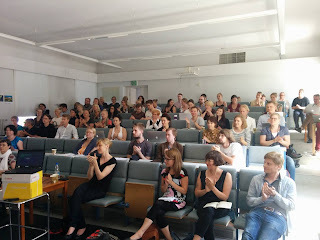 On the second day, Sanna Tirkkonen gave an introduction to the other main theme of the conference, experience and embodiment. She analyzed experience and medical perception in Michel Foucault’s Birth of the Clinic, and made comparisons to Merleau-Ponty’s work, in order to reflect inclusive practices in the treatment of mental disorders. Instead of seeking models of explanation, the phenomenological tradition addresses questions which concern living through distress. However, the viewpoint of clinical perception also opens up the ontological questions concerning what it is that is actually perceived and treated as mental disorders. Several talks (e.g. Daniel Hutto, Giovanna Colombetti, Rachel Cooper) discussed mental illness in the enactivist framework, agreeing that the mind cannot be located exclusively in the brain but needs to be seen as embodied and extending into the world. 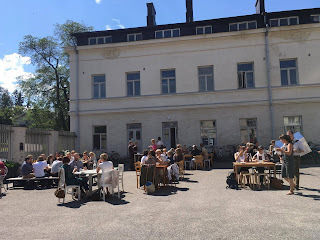 In the case of addiction, Joona Taipale argued that from the perspective of experience, one is addicted to incorporating the substance rather than to the substance itself. On these grounds, psychiatry needs to take into account issues such as interpersonal relations and the interaction between individual and environment. In practice, some of these ideas have been applied in the Open Dialogue approach developed by Jaakko Seikkula. The method challenges the conception of mental disorders as pathologies pertaining to the individual and to the brain, and suggests a more relational and embodied model instead. Boldly claiming that “psychosis is a part of life” and that it is “more like a feeling, a strategy of the embodied mind to survive extreme experiences”, Seikkula showed how a dialogical approach that integrates the larger community into psychiatric treatment has dramatically increased recovery rates and even reduced the amount of new diagnoses of schizophrenia in the Tornio region of Northern Finland. Likewise, Daniel Hutto argued for different approaches both in explaining mental disorders and in therapy by pinpointing to the shortcomings of brain based models and by emphasizing the need for a rehabilitating (self)understanding through narrative practices, even if brain could be “fixed” with the help of medicine. He maintained that "even for those who embrace the Scientific Image view, there is no reason not to look also beyond the brain". 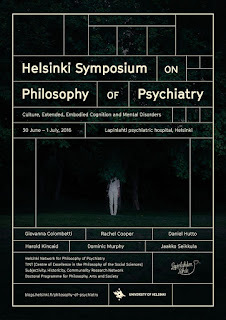 In conclusion, the symposium reflected the need for broader interdisciplinary approaches for studying and classifying mental disorders, and enacted some of the ongoing debates of the evolving field of philosophy of psychiatry. 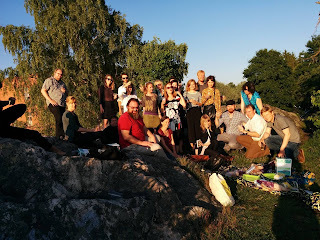 Pictured above: The Helsinki Network for Philosophy of Psychiatry including Ferdinand Garoff, Tomi Kokkonen, Laura Oulanne, Anna Ovaska, Pii Telakivi, Sanna Tirkkonen and Tuomas Vesterinen.